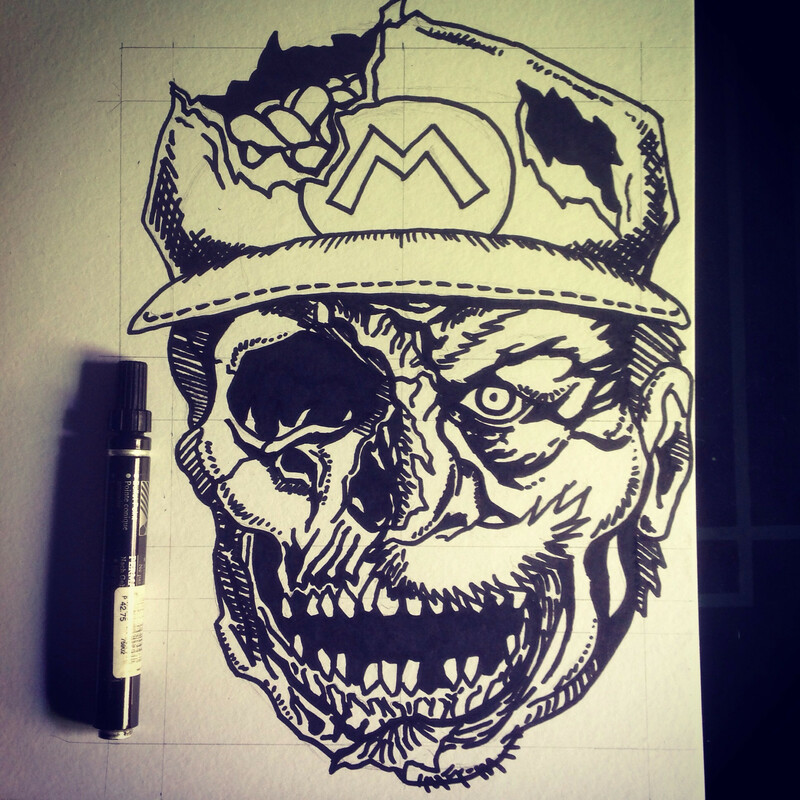 I have no idea why my nephew’s teacher wanted her students to create scary faces days AFTER Halloween, but as always, I’m just here to do my job as the family’s “school art project maker.” I made this zombified Super Mario using illustration board, a black marker, and my ever-reliable Faber-Castell colored pencils. 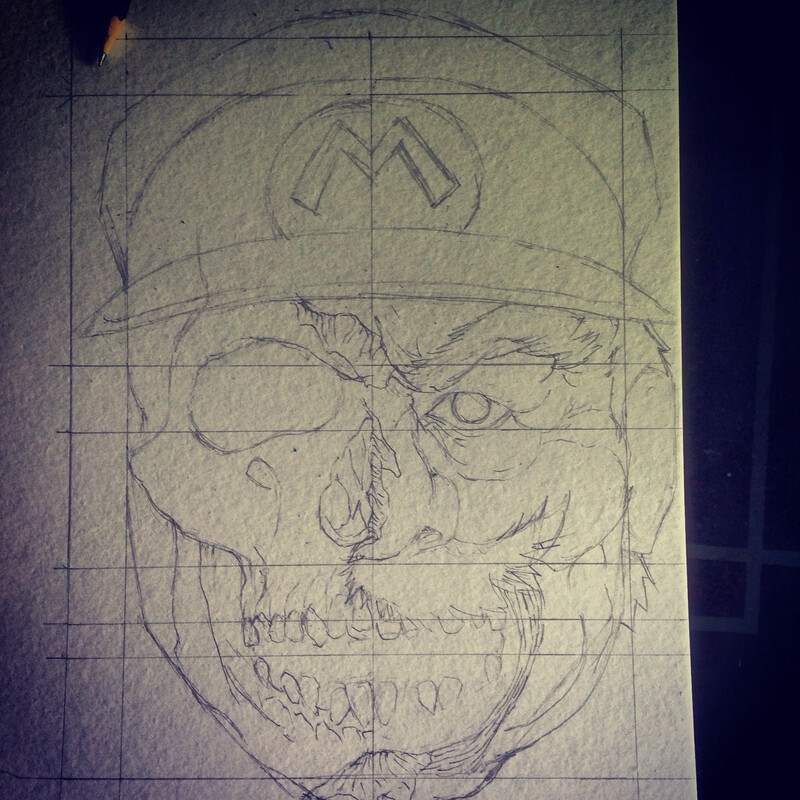 The most important step in creating this zombie Mario face was ensuring the proportions were correct (i.e., one side shouldn’t be larger than the other, eyes shouldn’t be too high or too low, etc.). 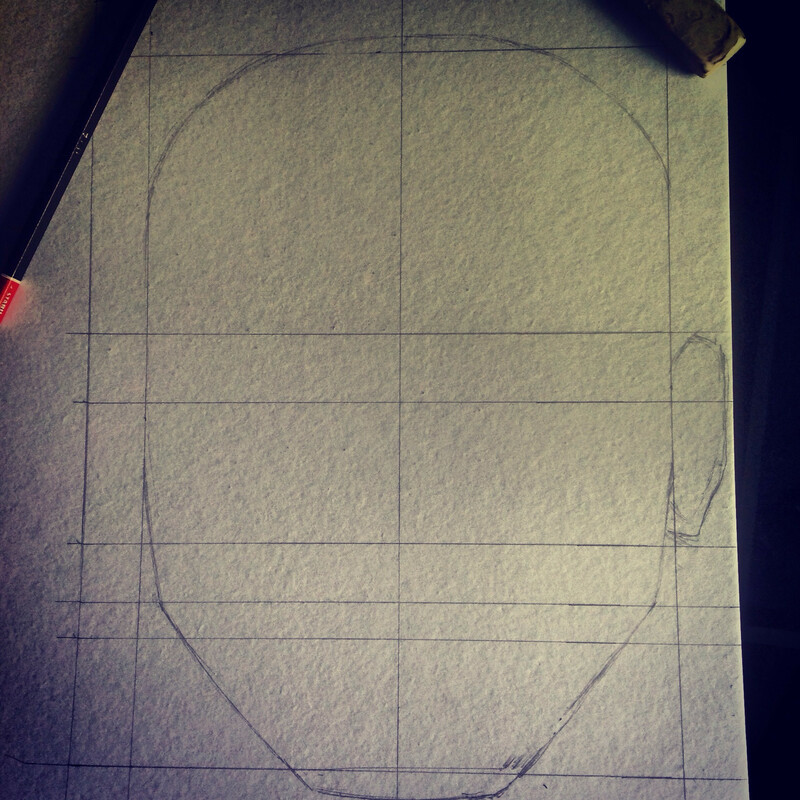 Once the guide points and lines were plotted, it was easy to fill the face outline with the grim details. I used a skull reference just to make the drawing look a little more realistic (though realism clearly wasn’t my goal here). Most of the details in this piece were added during the inking stage and, as with most of my drawings, I used cross-hatching and shading to give it that comicbook look. 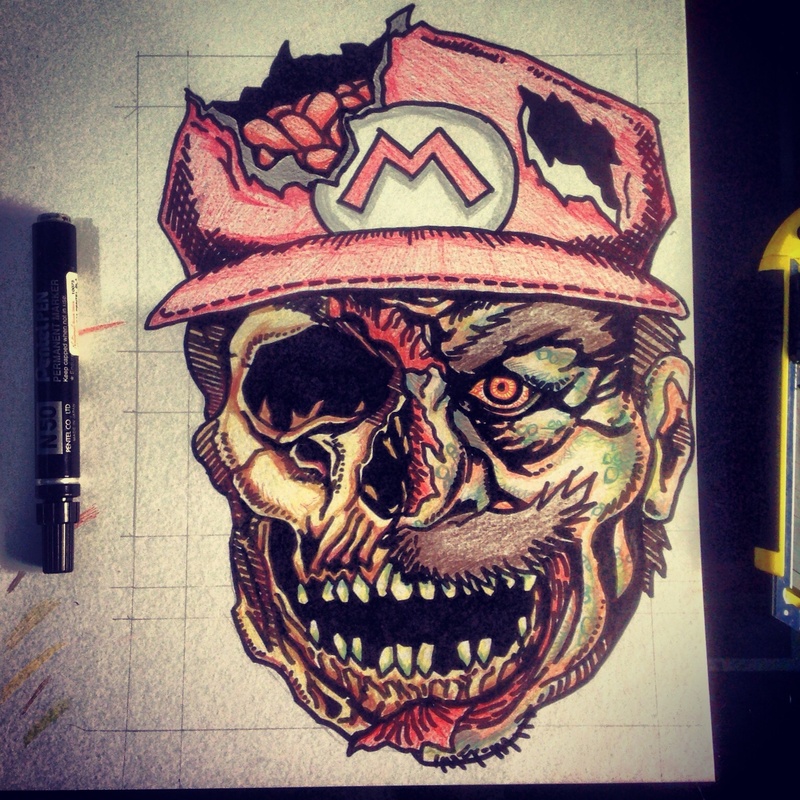 Finally, I mixed various colors to make the skin look like it’s rotting, taking care not to make the face look too gory as I still wanted the whole thing to be kid-friendly (which is also the reason why I chose to zombify Mario in the first place). 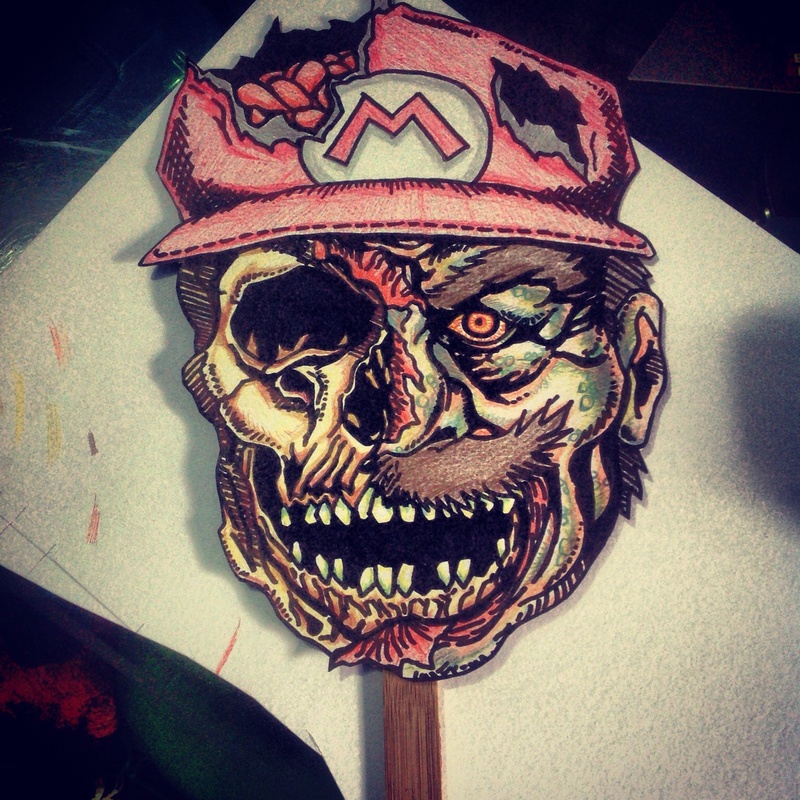 Taped the face onto a stick and voila–Super Mario zombie, done!